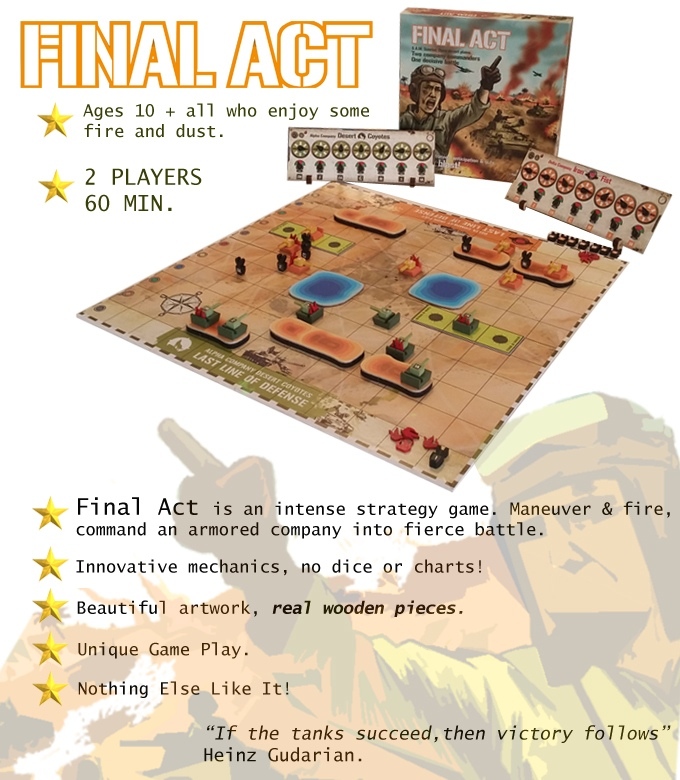 In most board games, players take turns and get to see what their opponent is doing before they decide, themselves, what course of action to take. However, in a real combat situation, you and the enemy are making your decisions and acting at the same time. Final Act gets around that by having a simultaneous action system. It's also up on Kickstarter now. Players are in control of a tank commander tank as well as two units of tanks. The objective is to get across the board and into your opponent's back lines. 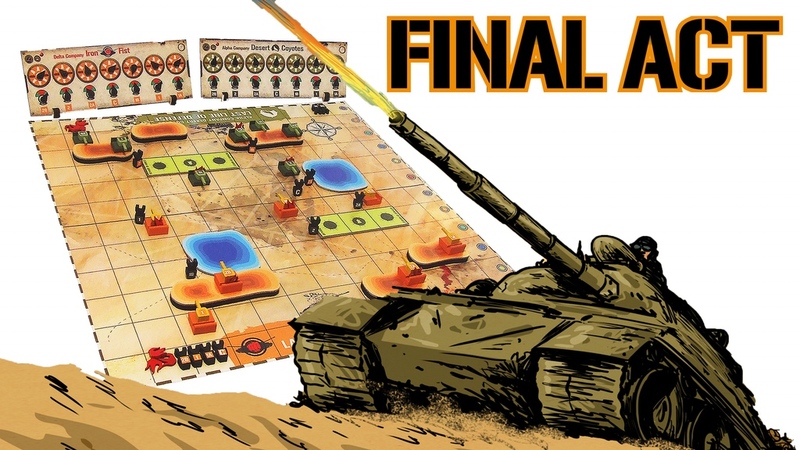 The simultaneous play comes in as players have boards that they'll use to show where their tanks are going to move and where they are going to fire for the turn. So you have to strategize and figure out where you think your opponent's tanks are going to end up and play accordingly. Get it right and your opponent's tanks will be debris in the sand. Get it wrong and they'll be running around your vulnerable supply lines. The campaign is up and running now and is set to go for another 19 days.